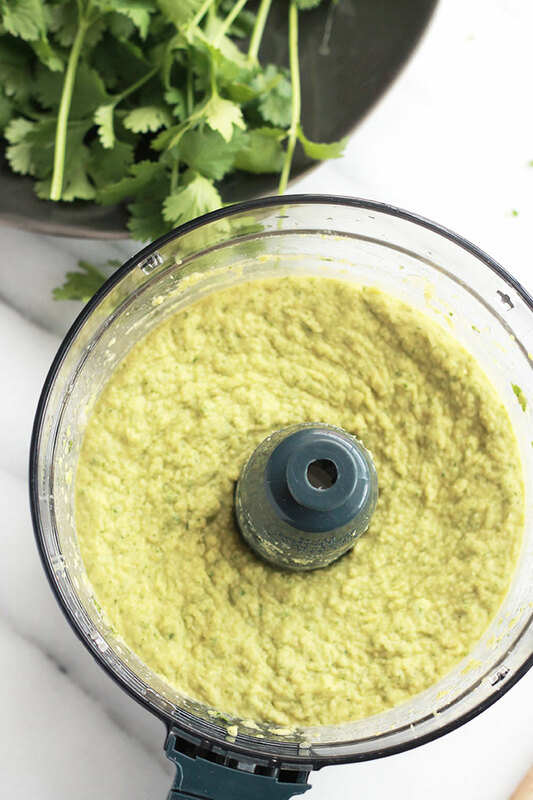 This quick and easy Cilantro Jalapeno Hummus is a wonderful combination of flavors. 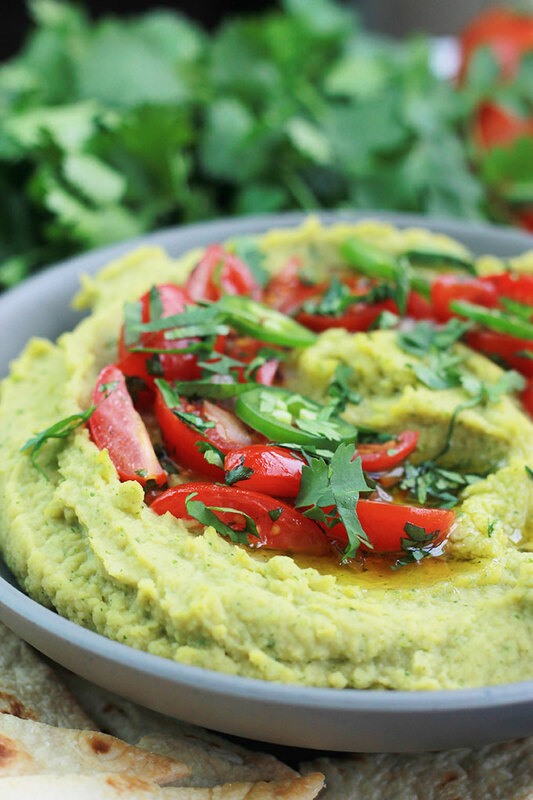 A take off the traditional hummus recipe, but spiced-up a bit. 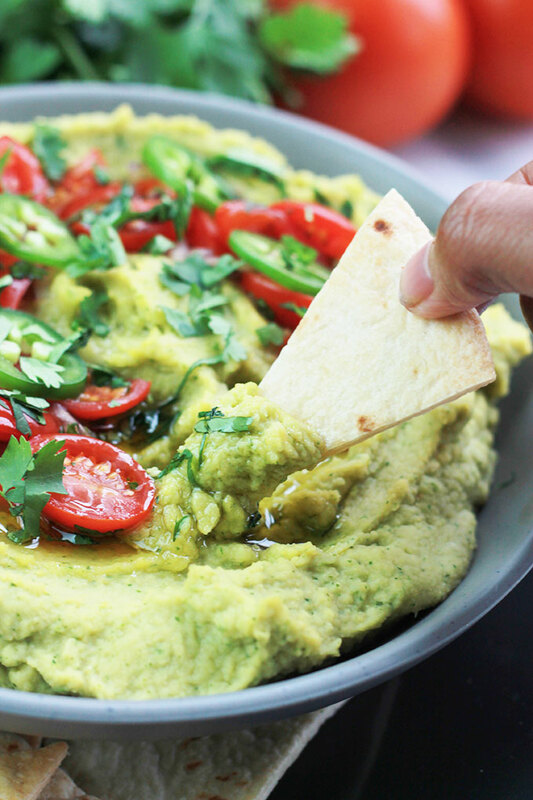 If you like the combination of jalapeños and cilantro you are going to love this hummus. A friend of mine shared her grocery store purchased jalapeño hummus with me and I couldn’t stop eating it, so delicious. ???? Inspired, I decided to make my own Cilantro Jalapeño Hummus. 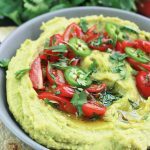 Traditional hummus recipes use tahini, I didn’t have any so I left it out. Let’s talk about cilantro. The grocery store hummus had little or no cilantro added. I love it, so I added a great big hand full. 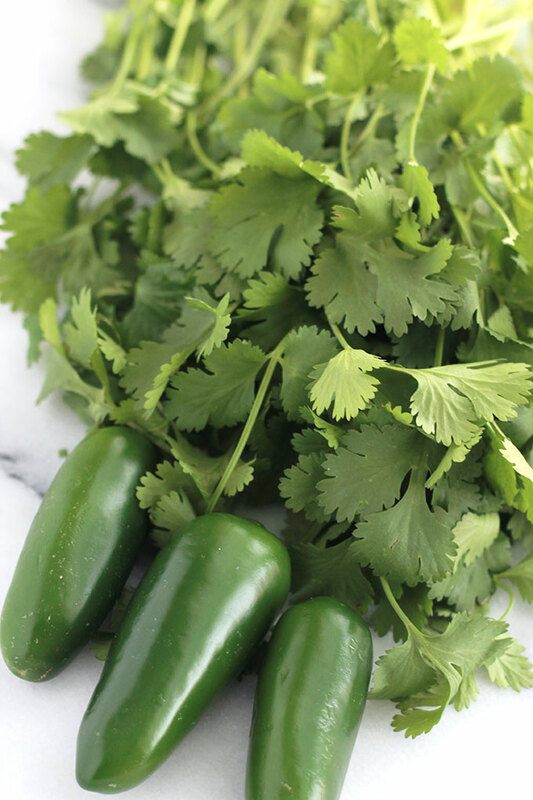 Cilantro is an herb many don’t like, it has been described as having a soapy taste. However, I think it adds loads of flavor and complexity. If you really don’t like it, simply leave it out. ???? 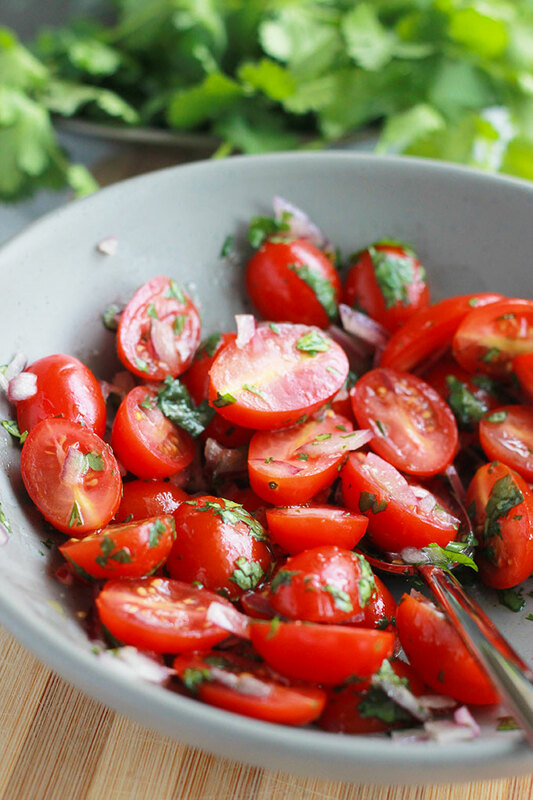 For an extra layer of goodness I added sliced tomatoes and red onions mixed with more cilantro on top. This tasty snack comes together in no time. It all goes into a food processor or blender and blended until smooth and creamy. Optional add-in is an avocado, for added flavor and creaminess. 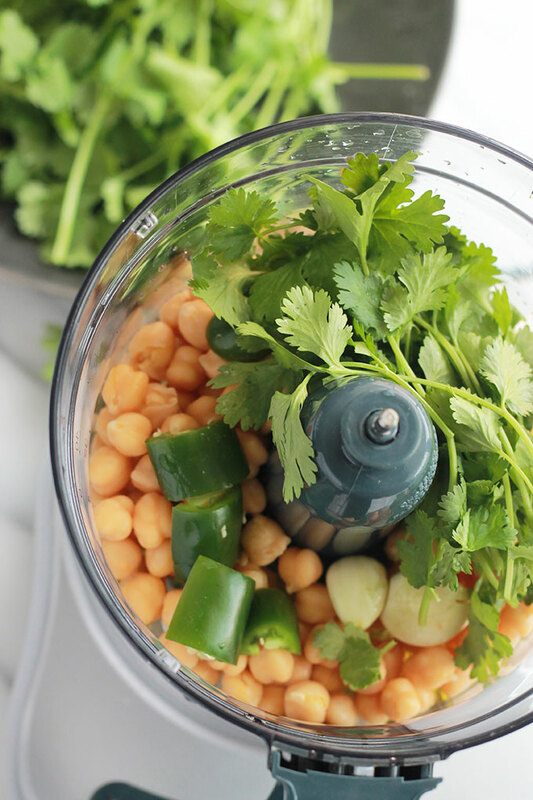 Place all hummus ingredients into a food processor or blender and blend until smooth. In another bowl mix together the tomato topping ingredients and spoon some of the mixture on top of the hummus. 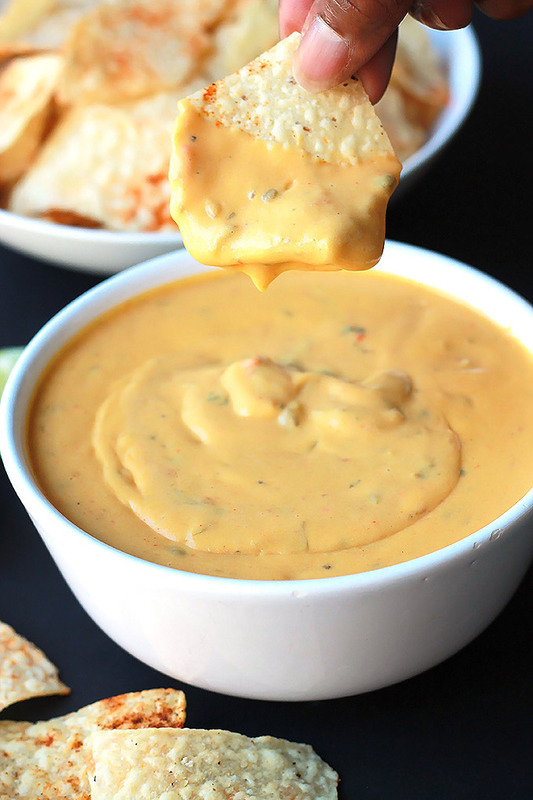 Serve with veggie slices, tortilla chips or crackers. 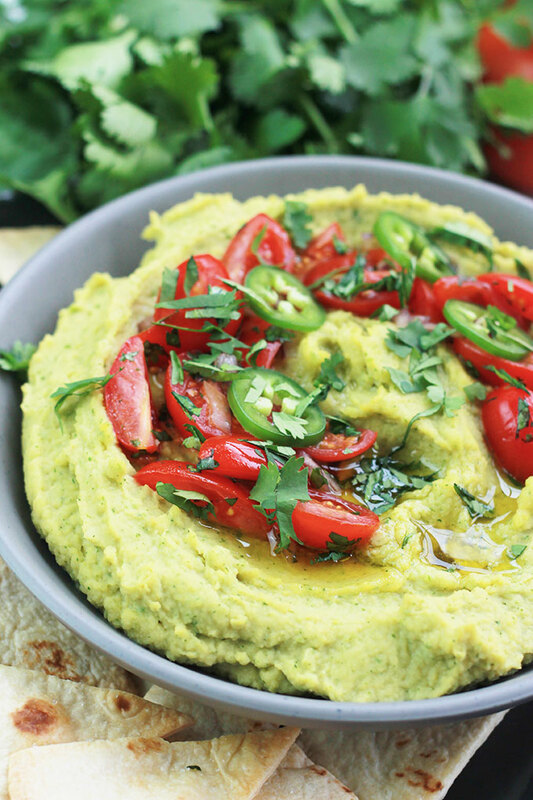 This Cilantro Jalapeño Hummus is great as a sandwich or wrap spread. If you make this recipe tag @thewholeserving on Instagram and hashtag it #thewholeserving, I want to see your version. 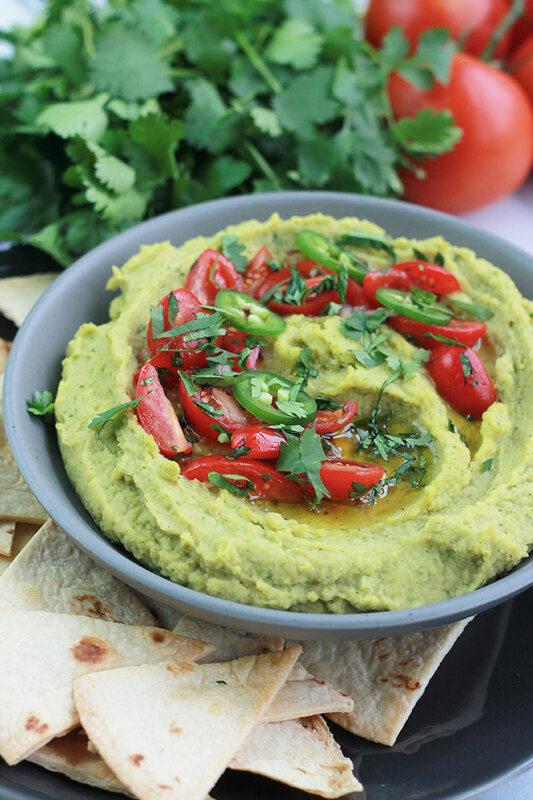 Celeste, the hummus looks delicious and thanks so much for sharing the recipe. 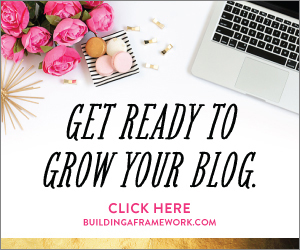 I would love to try it…Happy Thursday! Thanks Pam, I hope you enjoy it as much as we do in my home, t’s hard not to eat it all at one time.